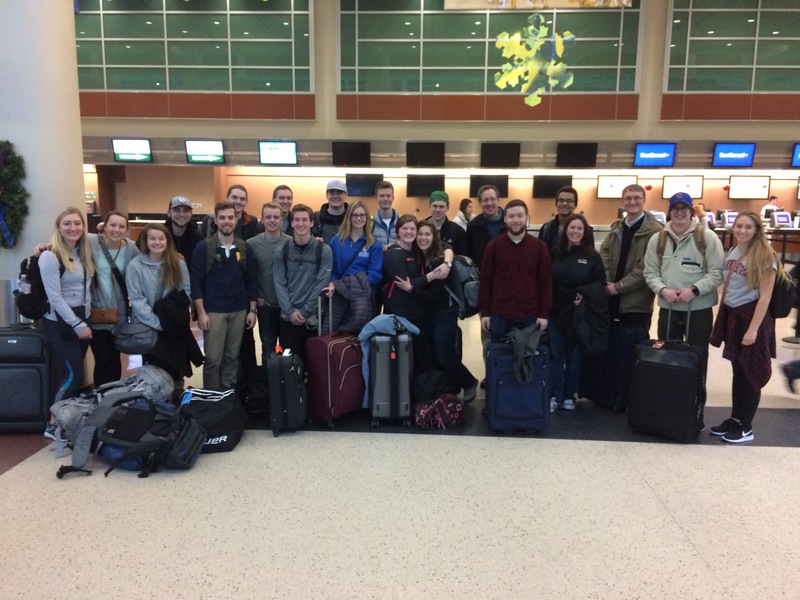 Our World War I group is more than halfway through its J-term in Europe. As we continue our stay in Paris, we’re all still thinking about our four days at Ypres, the Somme, and Normandy, three of the most important battlefields of the 20th century. Here I’m happy to share two reflections written by Graphic Design/Studio Art major Anna Solomon during that stage of the trip. She started by thinking about the first stop on our Ypres tour: the British cemetery at Essex Farm, where a Canadian doctor named John McCrae wrote one of the most famous poems of WWI. Then Anna reexamined her impressions of the First World War after seeing sites from the Second. Wednesday, January 9, 2019 – Going from the bustling metropolis of London with its energy, charm, fun, comfort, weather, and familiarity to Ypres was a meaningful experience. Ypres is quiet, solemn, open, quaint, moving (emotionally), cold… and home to some of the most remarkable experiences of the trip. Seeing where “In Flanders Fields” was written was humbling. I’m having trouble wrapping my mind around the gravitas of these places. I feel like I want to cry (I kind of have a few times), but that’s good because it means it’s important. Even though my great-grandfather was the one to fight here and not me, these sites are giving me a connection with a war I never fought and a man not even my grandfather knew. Essex Farm was also impactful because we saw workers [from the Commonwealth War Graves Commission] maintaining the graves. Seeing them serving and interacting with the site in that way was striking. Watching them tend the grounds they seemed like gardeners of honor and ghosts of the past. The war still means so much to them, as does the conservation of these sites and of the sacrifices of the past. Here history walks the grounds and shakes me to my core. Saturday, January 12, 2019 – …at the WWI sites I felt distraught and bitter about the war. My great-grandfather’s dog tags and victory medal felt impossibly heavy on my mind and in my pockets. My eyes would tear up thinking of how brutal and awful a war it was. The WWII sites at Normandy, however, felt different, and it quite frankly made me ponder why I felt that way. At the beaches and bunkers I felt excited… maybe because this seemed like a place and a war where Americans were heroes, the good guys; we were victorious. In movies and TV shows I’ve heard about these events, and it’s exhilarating to be in the place where they happened. The feeling of this being a glorious war swiftly faded upon contemplation. What horrors were seen and committed here… how many lives were lost here… what a different world this would have been to live in and through… what a haunting legacy. On Wednesday we’ll take the train to Munich, where we’ll conclude our trip by studying some of the most important legacies of the First World War: the rise of National Socialism, the start of a second world war, and the radical evil of the Holocaust. Look for a final set of student reflections next Tuesday or Wednesday. This afternoon Prof. Mulberry and I will fly to London with 23 Bethel students for the fourth iteration of our HIS230L World War I travel course. As usual, we’ll start with eight days in London and Oxford, then cross the English Channel for our battlefield tour — this year including a day at Normandy to start making connections between the two world wars. We’ll finish with four days in Paris and five in Munich before heading home. If you want to follow along with our journeys, we’ll be sharing photos on our Instagram, Twitter, and Facebook pages, or you can look for the hashtags #BethelWWI and #BethelAbroad. We might even blog a bit from the road, as students reflect on sites they visit and primary sources they read. Please pray that we’ll all have safe travels and transformative experiences as we delve into the history of a war that ended a century ago last month. As many of you may remember from one of our courses, World War I ended 100 years ago this month — at least, on its most famous front. On the eleventh hour of the eleventh hour of the eleventh month of 1918, the guns finally fell silent in Belgium and northern France. The Veterans Memorial Community Center in Inver Grove Heights will host the state’s Veterans Day event on Sunday morning, 9:30-11:30. The keynote speaker will be Nancy O’Brien Wagner, editor of a new collection of WWI letters from her great-aunt, one of the many women who volunteered for service in the war. Then at 4pm, Northrup will host the American debut of composer Patrick Hawes’ Great War Symphony (simultaneous with a production at Carnegie Hall in New York). While you’re at the Lest We Forget concert, you can also see David Geister’s mural, World War 1 America, which he painted during the run of that exhibition last year at the Minnesota History Center. That mural now resides in the library of the Minnesota Military Museum at Camp Ripley, which is open Thursday-Saturday and has a special exhibit through next year, In the Fight: Minnesota and the World War. Next month marks the 100th anniversary of the Armistice that ended the First World War on its famous Western Front. As part of the international commemoration of that event, the Minnesota Opera will be performing Silent Night, a dramatization of the 1914 Christmas Truce, at the Ordway Center — November 10-18. As a preview event, the Minnesota Opera, MinnPost, and the University of Minnesota’s School of Music are presenting “Silent Night: A Soldier’s Humanity and the Impact of WWI” — Monday, October 29, 7pm at Westminster Hall in downtown Minneapolis. I’ll be one of the panelists discussing soldiers’ experiences of the war, plus a member of the cast will perform selections from the opera itself. The event is free, but click the link above to register. To put you in mind of the subject… Enjoy these photos from Monday night’s meeting of our J-term WWI trip participants. Bethel alum Jenna Kubly ’02 joined us to share some of her extensive collection of WWI artifacts, including everything from swords and uniforms to medals and postcards. Interim 2018 is barely in our rear view mirror, but it’s time to start thinking about January 2019… when Prof. Mulberry and I will take our fourth group of Bethel students to Europe for the travel course HIS230L World War I! An experiential study of the history of the First World War built around travel in England, Belgium, France, and Germany, including visits to battlefield sites, cemeteries, memorials, and museums. Students will learn what it was like to experience and remember total war and to appreciate this particular conflict’s larger significance for American and European culture. Current students: if you’re interested in joining the trip, here’s how you can learn more. Stop by our booth at the annual Interim Abroad Fair: Wednesday, March 28, 11am-2pm in the BC Atrium. Attend our first informational session: Tuesday, April 10, 11:15am-noon in CLC 109. And you can read reflections from students on the 2017, 2015, and 2013 trips here at AC 2nd. Yesterday Prof. Gehrz joined Art professors Michelle Westmark Wingard and Ken Steinbach for a conversation about memorials and monuments moderated by Bethel digital librarian Kent Gerber. Entitled “The Significance of Public Memory,” it covered everything from debates over Confederate memorials and the memory of the U.S.-Dakota War to examples of European memorials from our World War I trip (coming again in January 2019). 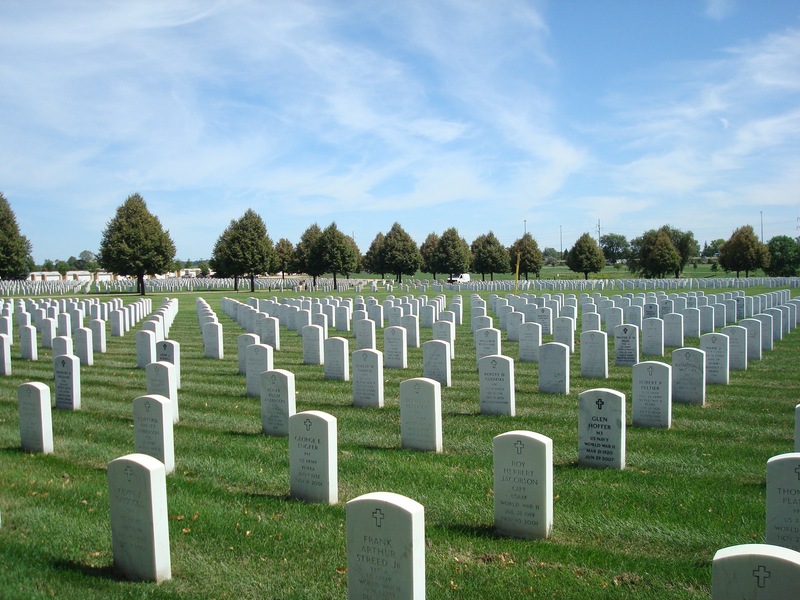 For some historical and theological reflections on Memorial Day, Christianity Today this year turned to our own Chris Gehrz, who teaches courses on World War I and World War II and has written extensively about commemoration. To read the full essay and learn how Prof. Gehrz found something potentially redemptive in American civil religion, click here.